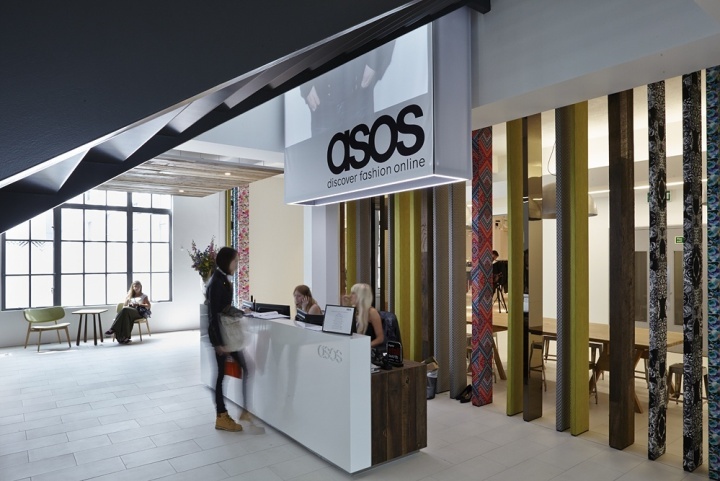 ASOS is the UK’s largest independent online-only fashion and beauty store. 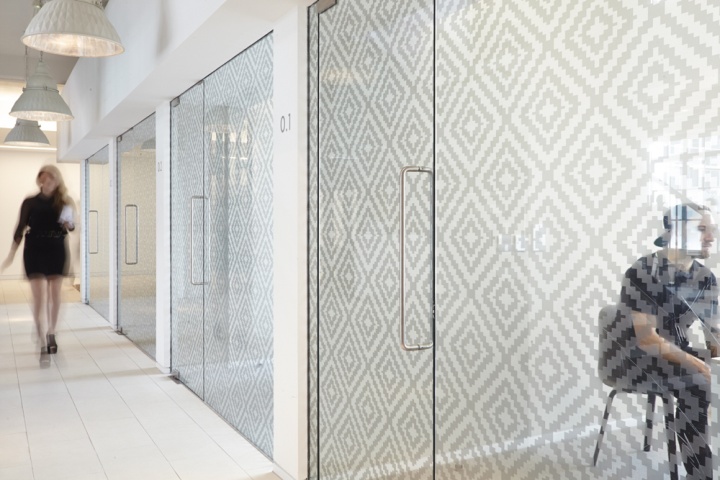 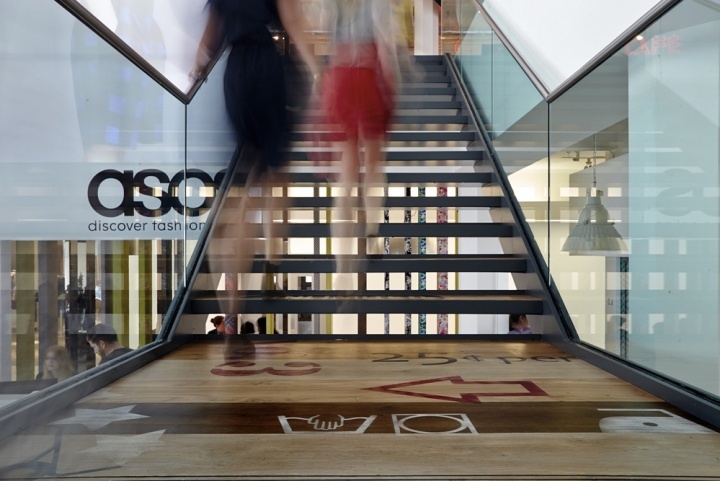 In 2012, MoreySmith was approached by the global fashion retailer to design an interior that would inject personality and brand identity into the ground and first floors of their London HQ at Greater London House, Hampstead Road, London. 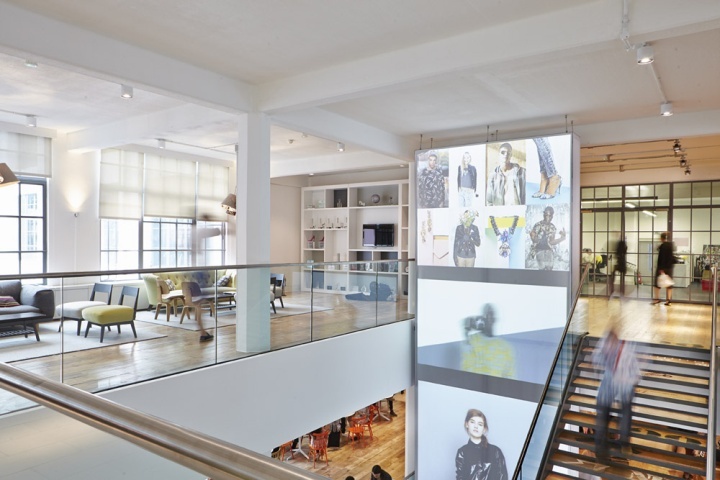 MoreySmith has created a space that will act as a window to the ASOS brand, taking inspiration from ASOS’s company values, and commitment to maintain the high calibre of recruits that it employs. 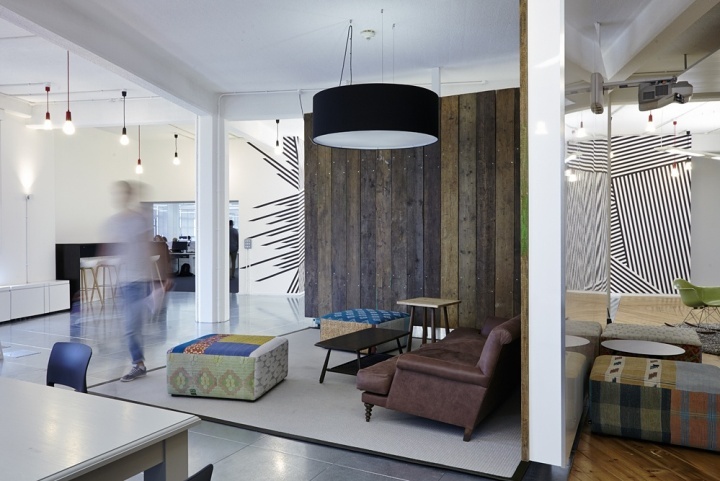 Pattern, texture and colour play a central role in the design of this space, cleverly reflecting the energy of the brand and communicating the vibrancy of the ASOS company ethos. 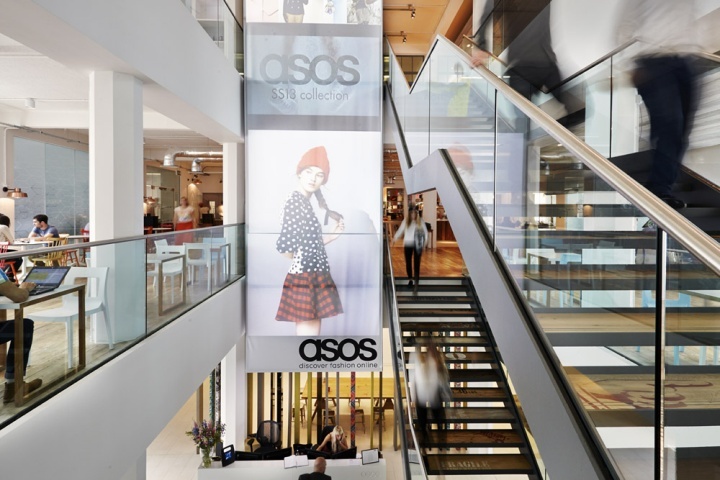 The extensive 100,000 sq ft refurbishment has more than doubled the space ASOS currently occupies in the building. 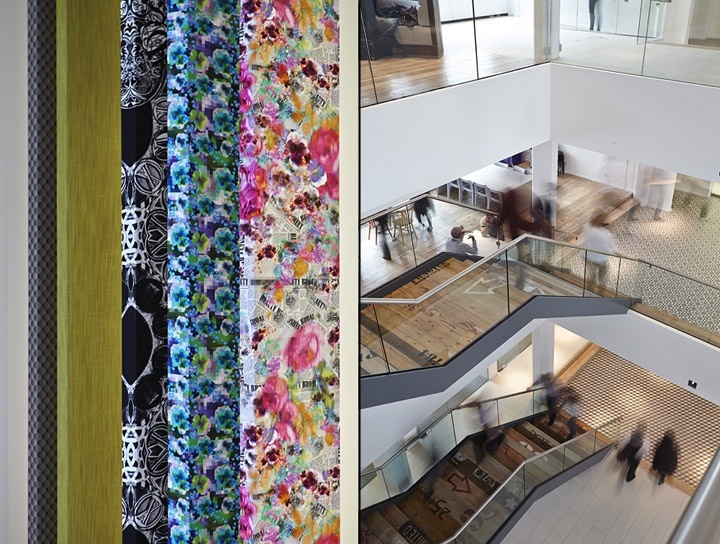 The design includes a flexible events space, a showcase/press area, fashion themed meeting rooms, open-plan offices and a tour route for visitors where they can follow the full journey of a garment from inception to completion, showcasing the innovative fashion and technology-led business. 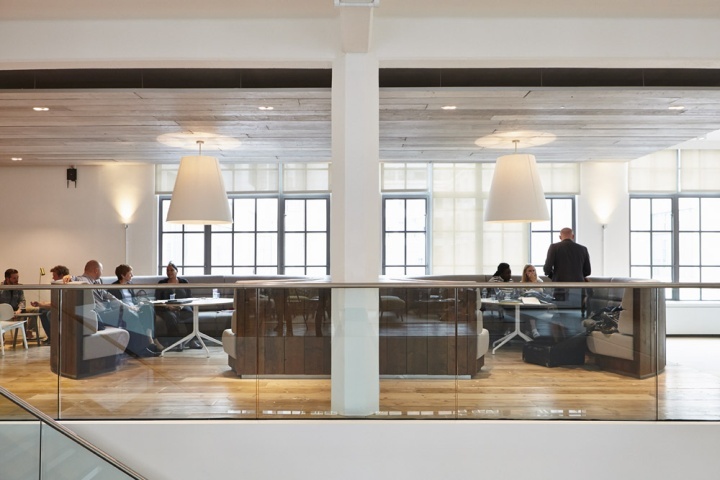 New staircases connect three floors at the heart of the office space; including a reception, café, meeting rooms and coffee bar. 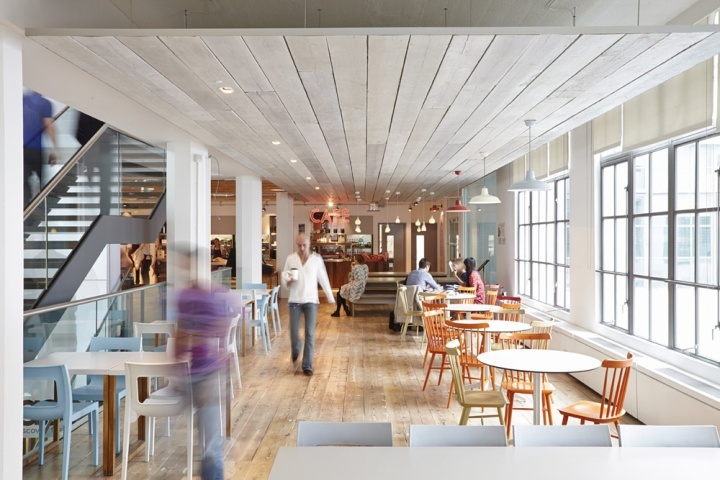 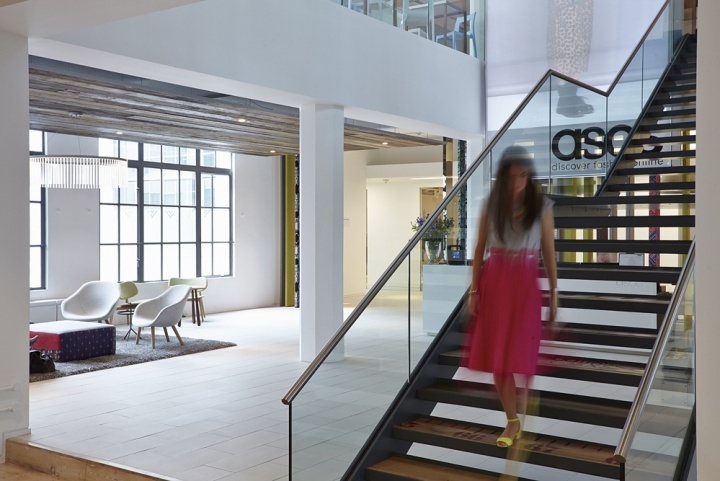 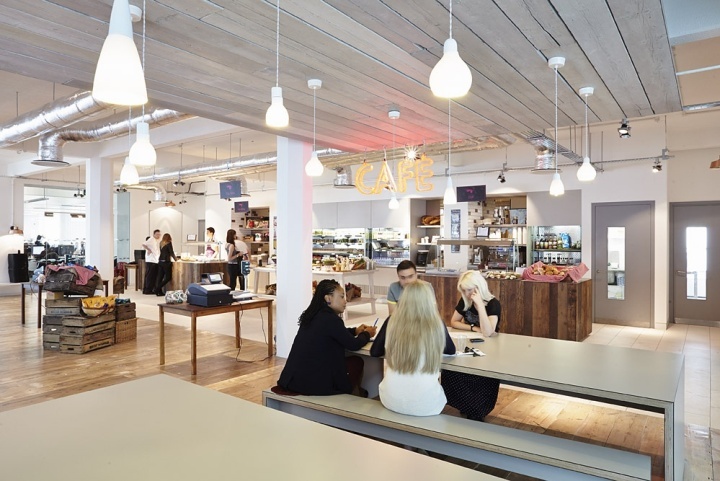 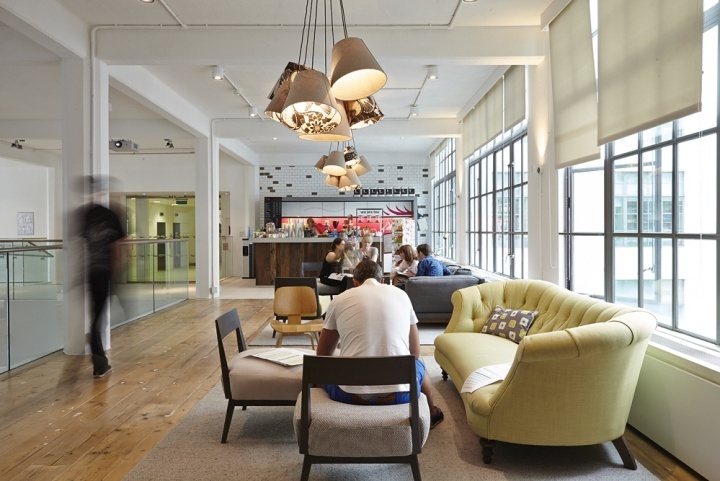 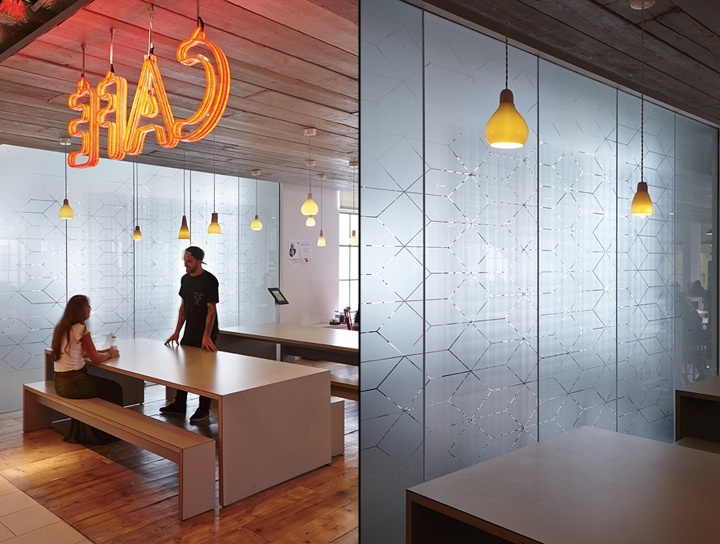 This central hub brings a dynamic and dramatic impact to the ASOS brand identity and gives a creative and welcoming space for more than 1200 people, to collaborate and breakout from the open plan workspace. 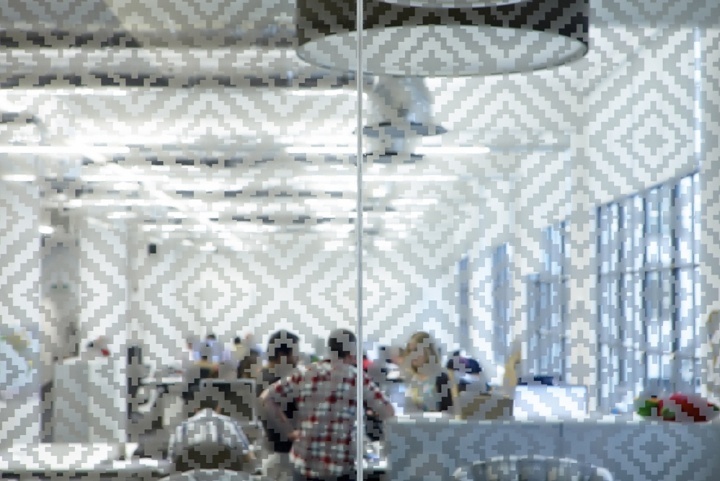 Offices in Silicon Valley How Does Office Design Affect Productivity?